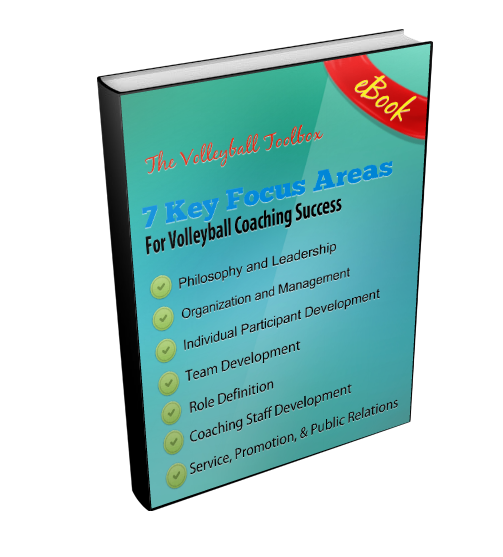 This article can also be found on the Coaches Toolbox, a collection of free resources for coaches of all sports. I hate it because of one word – “vs.” (Is that even a word?!) The word “vs.” (or the actual word “versus”) automatically indicates an adversarial relationship between the two things on either side of it. It means there is a battle going on. The Chicago Blackhawks vs. the Minnesota Wild. The Dallas Cowboys vs. the New England Patriots. The United States vs. Russia. Republicans vs. Democrats. Cowboys vs. Aliens. And the list goes on and on. In all of the instances above, “vs.” is a good thing. It creates the interest, the work ethic, the dedication to improve, the desire to perform, and the determination to overcome and succeed. I don’t have a problem with competition. If I did, I wouldn’t have stayed in coaching for the last 35 years. My problem is the “vs.” that is created in the concept of a person being an individual vs. being a great teammate who puts the team first. Why can’t someone be both? Why does that have to be an adversarial relationship? Why can’t they co-exist? Can’t the two just get along?! Of course, they can. People can be themselves as individuals with their own personalities, style, and goals, while at the same time sacrificing and putting the needs of the team ahead of their own. Coaches ask players to do this all the time. This kind of sacrifice is at the heart of any team experience. It is critical for team success. And yet, it is not always easy. I am no behavioral psychologist, but it seems to me that human nature is to be focused first on self and second on others. Yet, we see people all over the world who are “other-centered,” especially those in team settings. Selflessness and being focused on others seems to be more of a learned thing, although some people seem to be more prone to it naturally than other people do. If selflessness is a learned behavior, though, then it is imperative that we as coaches, teachers, and leaders do all we can to stress the importance of it. We must continually focus on the importance of sacrifice for others, for team. Statements like “We over me,” “TEAM – Together Everyone Achieves More,” “Give up the Me for We,” and the myriad of other “team-first” statements are all made to help people remember that we are capable of so much more when we focus on being selfless and helping the entire group before we focus on helping ourselves. However, in many places, this is a difficult message to instill. For instance, here in America, we are a society that loves competition. We compete against others to rise up and become our best. The image of the individual struggling against adversity and rising up after overcoming obstacles in life is revered as one of the greatest elements of the American spirit. And that is a good thing. It is good to have pride in one’s own work ethic, dedication to improvement, and the success they acquire. However, it can also make it difficult to get people to completely buy in to the idea of having a “team-first attitude.” We tell players on our teams all the time that for us to have team success, they need to put the needs of the team ahead of their own in every decision they make. Imagine the level of success that a team could rise to if every player did that. But that is not in every player’s mindset and makeup. From their own innate personalities, to the way they were raised by their parents, to the focus on individual development at their schools and within their friend groups, to the prevailing attitudes of the country in which they live, it is hard to get people to completely give themselves over to others and to team. I recently had a discussion with a friend of mine who is a fellow coach. We talked about the variety of “-isms” in our lives, and how they often taint a lot of really good concepts and ideas. One of those is “communism.” On the surface, communism would be a great thing, perfectly in line with what we as coaches want with our teams – everyone giving of themselves for the good of all. It is the ultimate in team-first attitude. Please don’t misunderstand me. I am not advocating that we become a communistic society. I am merely trying to illustrate that one of the reasons it so hard to get kids/people to completely buy into the concept of team-first is that some of our feelings are deeply ingrained in us as people because they have been ingrained in us in our families, in our social groups, and in our society. So what do we do? Do we just throw up our hands and say, “Well, I guess we will never get all of our kids to buy in completely to team, so why bother?” Of course not. We must keep working to instill in them that the best chances for success on our teams are when we all understand the importance of focusing on what’s best for all instead of what’s best for the individual. Teams work best and succeed the most when everyone works together in pursuit of the success the team seeks over the success the individual seeks. When we do that, the sky is the limit for where we can go as a team, as a business, and as a country. My next post will take this concept a step further and look at the importance of stressing Team Goals vs. Individual Goals and how to balance those as an individual.